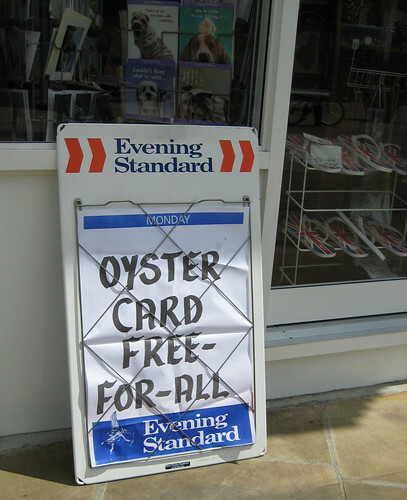 Looks like things are getting back to normal after the Oyster card failure on Saturday morning, where, depending on which newspaper you read, anything from 40,000 to 100,000 passengers had their cards corrupted and travelling on the London Underground on Monday would have resulted in a big FAIL for their cards. Many other travellers benefited from free travel as the gates on the Tube were left open & buses let people on free for most of the day. 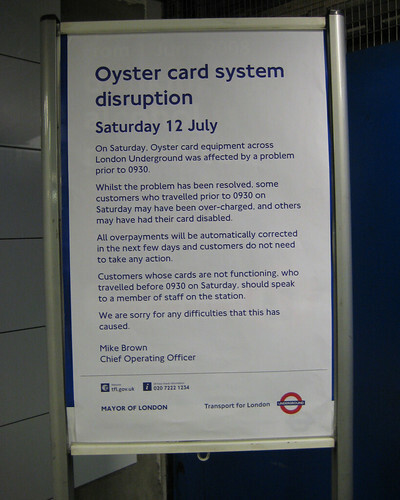 Although perhaps this time the Tube Fail Whale picture above should have had Oysters at the bottom of the sea, with Mike Brown, Transport for London's Chief Operating Officer trying to lift them up. 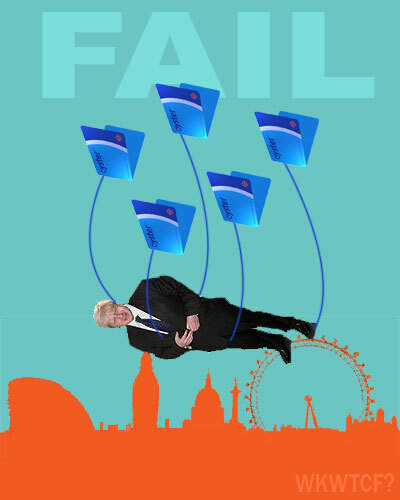 Thanks to The Ticket Collector who sent me an email with a "leaked statement" from ATOC (Association of Train Operating Companies) telling staff what to do in each circumstance of failure and how to issue refunds. Personally I can't get that excited about the statement as it doesn't really add much to what people already know about what to do if their cards didn't work on Monday. There's no comment at all about the rarity of this problem happening. Nothing about what caused it in the first place. Also TfL aren't commenting on the suggestion that it was all caused by a disgruntled member of staff. So I guess we'll never really know what happened and we should count ourselves lucky that it didn't happen on a weekday, when the problem would have hit hundreds of thousands more commuters.